Tests of GPS receiver vulnerability to transmissions from terrestrial base stations in the proposed LightSquared 4G/LTE broadband service were scheduled to wrap up on May 27, but results as we post this message clearly indicate substantial adverse effects on GPS user equipment. On June 1–2, the Technical Working Group (TWG) set up by the LightSquared-led working group mandated by the Federal Communications Commission (FCC) will have its first face-to-face meeting since the trials began to sort out the results. But Inside GNSS has learned from members of the seven sub-teams conducting the tests on various categories of user equipment that clear evidence has emerged of serious interference issues from LightSquared transmissions in frequencies adjacent to the GPS L1 band. The LightSquared working group has until June 15 to submit a report and set of recommendations to the FCC based on the test program, but the discussion has already turned toward discussion of ways to mitigate the interference and the even more controversial issue of who must bear the cost for dealing with the problem, if LightSquared is allowed to go ahead with its plans. An executive summary of a forthcoming report by RTCA, Inc. released today warned of serious interference risks to GPS receivers used for aviation. A not-for-profit advisory organization focusing on aviation issues, the RTCA delegated the task of analyzing the results of trials for four receiver types to its Special Committee 159 for GPS issues. The actual tests were conducted by Zeta Associates as part of the FCC working group’s investigation, but the FAA sought the RTCA’s independent analysis of the results. Other sub-teams also uncovered probable interference problems for other receiver types, most of which do not have the additional six decibels of filtering required for certified aviation equipment — which means they could be even more vulnerable to the broadband cellular transmissions than the aviation receivers. Those results were reinforced by independent tests conducted by other groups, including Qualcomm Inc., public safety agencies in Arizona, and the National Space-Based PNT Systems Engineering Forum (NPEF). In a filing to the FCC on May 3, wireless chipset manufacturer Qualcomm Inc. reported that initial tests its GNSS engineering conducted in April on some of the San Diego, California–based company’s narrowband GPS receivers revealed potential problems from LightSquared transmissions. 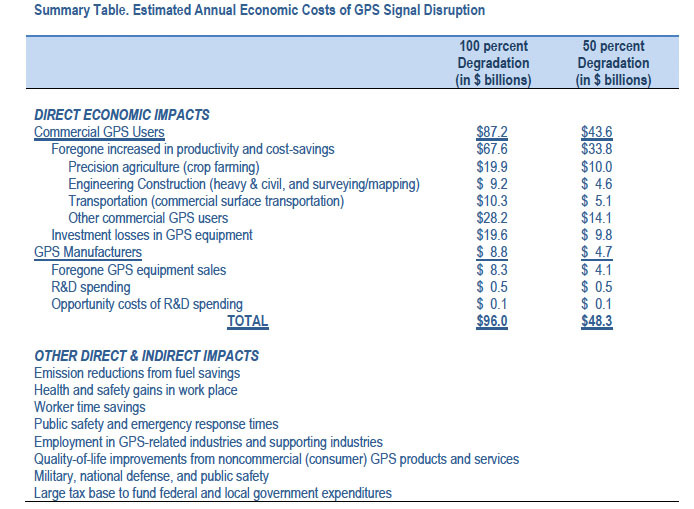 For future equipment designs, the company’s report suggested a variety of filtering techniques, including employing bulk acoustic wave (BAW) or Thin film bulk acoustic resonator (FBAR) filters in place of the surface acoustic wave (SAW) filters typically used in low-cost GPS receivers. This could be used in connection with an external low noise amplifier (eLNA) on a host device or in a single-filter front end receiver design. Comprised primarily of engineers and other technical experts, the TWG members have worked together fairly well until now. However, they have a short timeline in which to resolve differences in analyses of the test regime and results, let alone recommendations for ways to mitigate LightSquared effects on GPS. Then LightSquared and the working group as a whole, which is cochaired by a representative of the U.S. GPS Industry Council (USGIC), must try to reach agreement on the report to the FCC. If they fail to reach agreement, LightSquared as the designee of the FCC, will have the final word. Complicating the task is the fact that much of the “live” over-the-air testing conducted by the TWG sub-teams did not use broadcasts that replicated the full-strength signals anticipated from LightSquared’s ancillary terrestrial components (ATCs), the FCC’s term for the ground stations that were supposed be a gap-filler for the space-to-Earth transmissions of mobile satellite services (MSS). 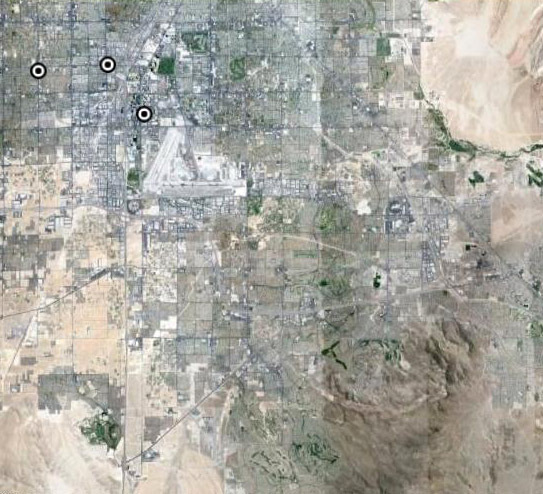 These tests were conducted from May 16–27 near Las Vegas, Nevada. The third monthly report from the LightSquared working group, released May 16 and corrected and clarified in a supplemental report submitted to the FCC this week, noted that “due to unique circumstances of the test setup” the test sites would operate in reduced power modes. In dual-channel mode, the test sites operated at power levels of approximately 59 dBm EIRP per channel as opposed to the 62 dBm EIRP per channel currently planned for LightSquared’s initial commercial deployment. EIRP — equivalent (or effective) isotropically radiated power — is a metric that reflects the amount of power that an antenna (which evenly distributes its power in all directions) would emit to produce the peak power density observed in the direction of maximum antenna gain. The three-decibel reduction in EIRP was caused by power lost in traveling through a long coaxial cable from the LightSquared signal generator on the ground to the transmission antenna at the top of the Las Vegas tower. Consequently, the resulting transmissions had only half the signal strength that would be encountered by user equipment, including GPS receivers, in actual LightSquared operations. LightSquared’s operational plan calls for an initial five-megahertz channel at the upper range (centered at 1552.7 MHz) during the so-called Phase 0. This would be followed in LightSquared’s Phase 1 by another transmission at the lower range (1526.5 – 1531.5 MHz), and a further widening of both channels to 10 megahertz in Phase 2. However, sources close to the FCC process say that LightSquared may now attempt to revise its plan to begin with the five-megahertz channel in the lower range, where the effects on GPS would be less or even nonexistent, as a way to get permission to launch its service. Then it could push into the higher-range, wider bandwidth channels once it was on the air. Ultimately, the actual conditions that GPS receivers would face if LightSquared goes into operation could be even worse. The tests assumed LightSquared’s current “operational parameters” that call for 32 dBw EIRP per carrier channel. However, the FCC has authorized LightSquared to use up to 42 dBw per channel, which in effect means that the tests might have encountered only 1/10th the power that the broadband system eventually uses. The 1525-1559 MHz band in which LightSquared has obtained broadcast rights is designated for MSS, and the ATC exemption requested by a company later acquired by LightSquared were originally intended to make MSS service more robust by adding a few low-power ground stations. The ATC waiver and order issued by the FCC in January, however, opened the door for an all-terrestrial broadband service that LightSquared wants to sell wholesale to other providers. Some observers believe that LightSquared may attempt to divide the GPS community by trying to find solutions for the numerically small number of safety-of-life aviation and maritime applications, while convincing the FCC to require other GPS user groups to deal with interference problems on their own.